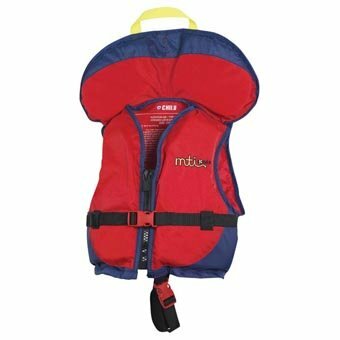 For young children 30-50 lbs with some swimming ability. Softest foam and top quality fabric assures comfort and excellent fit. Active children like how the flatter collar stays out of their way, yet supports the head in water when needed. Grab loop designed to hold the full weight of a wet child, and crotch strap keeps them in securely when lifting out of the boat or the water. Perfect for paddling or anytime playing around water. USCG: Type III, Min buoyancy: 8 lbs. 7 oz.